Swift Glass is set to exhibit at the Society for Information Display’s annual Display Week Exhibition from May 24 to 26. The exhibition, held in San Francisco, Calif., brings together companies from around the world to discuss and showcase the latest developments in display technology. This year’s Display Week will feature nearly 250 exhibitors in display electronics, components, systems, services, manufacturing equipment and other industries. Attendees can expect new innovations to emerge in electronic information display applications — now a $100 billion/year industry. Join us at Booth 206 to see our large, chemically strengthened glass parts used for display purposes, and talk to members of our team about your next project. Can’t attend Display Week? 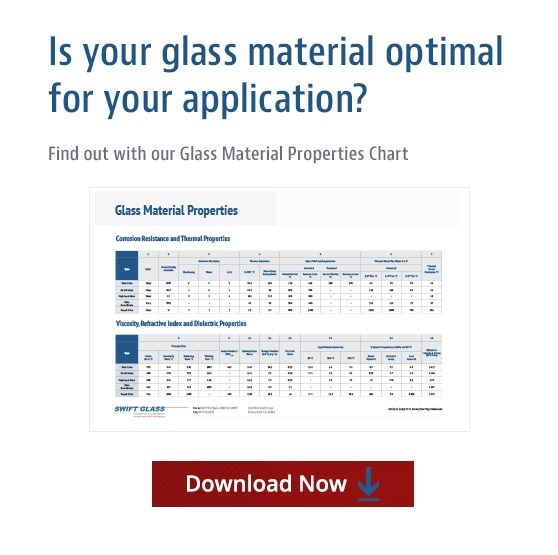 Visit our Optical and Display Glass page for information about our capabilities, and contact us to see how we can help you.